I don’t like reviewing books written by friends. What if I don’t like it? Will they hate me if I can’t give them a great review? Authors take book reviews personally. We aren’t supposed to, but our books are personal. I can’t think of anything in my world more personal to me than the (one) book I wrote. Apparently, no matter how many books you write, you will continue to feel that way about all of them. They are your babies, your little love children. I wasn’t too worried about this one, though. I’ve read other books by Martha and I liked them. I’ve always liked Martha’s writing (if you don’t read her blog, you should), especially when she is writing about her dogs. When this when came out, I dashed over to Amazon and immediately bought a copy. Then I got bogged down with other stuff and didn’t start to read it until a few days ago. This is a wonderful book. It’s so very good, I hardly know where to begin raving about it. This isn’t just a book. 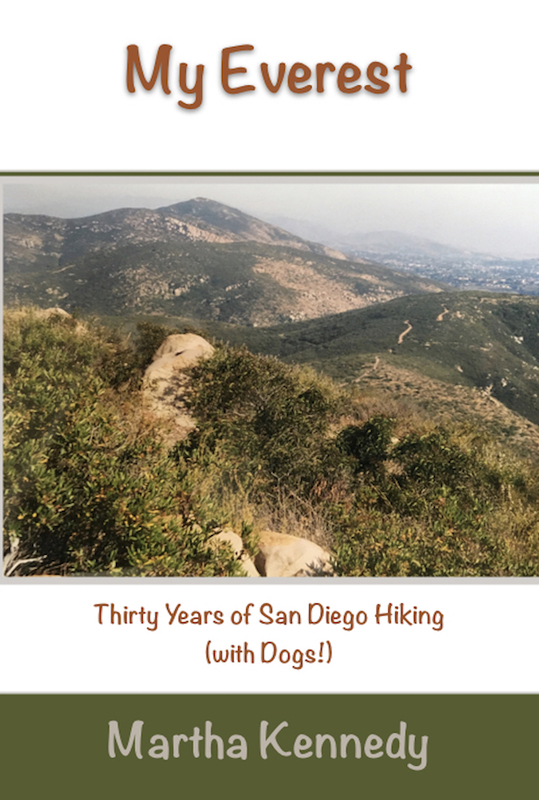 It isn’t about hiking (despite its title) in the San Diego hills with your dogs. This is a book about finding what is real and what matters. It’s about discovering the world is God and you are part of it. It’s about recognizing all living things having an equal right to be on this planet. It’s about learning how tiny we are while expanding to be part of the hugeness of life. “My Everest” is a beautiful book. It is profound and thoughtful. I found myself putting it down to leave myself time to think about it and what it meant to me. I don’t do that. Really. I don’t. I just read. This was different. “My Everest” is not one of those silly books about searching for yourself, either. Martha has found what I also found — that we are where we should be and we are in the right place. Our job is to enjoy it. Fully. See it, feel it, absorb it, love it. Be part of the all-in-all. Fly with the buzzards and the hawks. Get warmth from the earth with the rattlesnakes. Watch eternity roll by with the rocks. This is not self-revelatory narcissism. It reaches out and says “I love you” to everyone and everything. It’s not offering you rules to follow so you can walk the same path. There is no path. 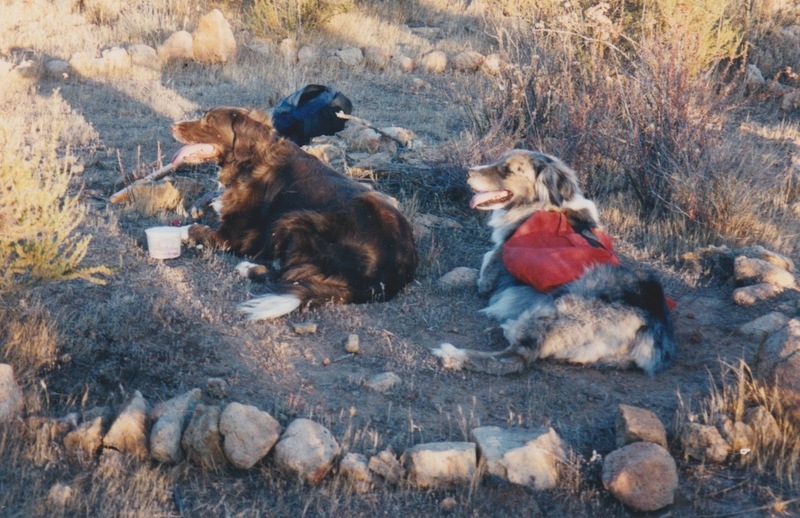 “My Everest” is about joy and sanctuary , the world that Martha Kennedy and her many dogs found in the Chaparral in San Diego. Those hills and mountains were her place. The suggestion is implicit that any place can be your place. You don’t have to go to those specific hills or mountains. The important thing is that there is a place — your place — that brings you that full measure of contentment. I don’t think I can explain it any better except to say I loved the dogs and the mountains. I love the people she met on the way. 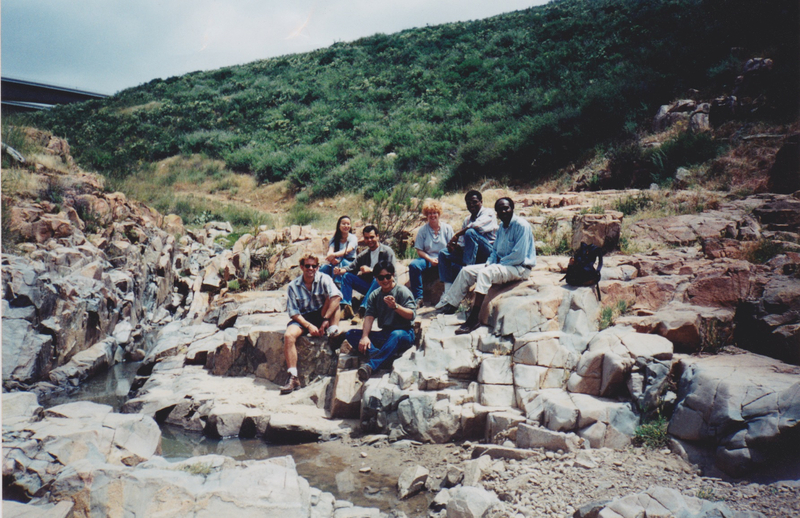 The young people she brought with her to hike the hills. In good weather and bad. 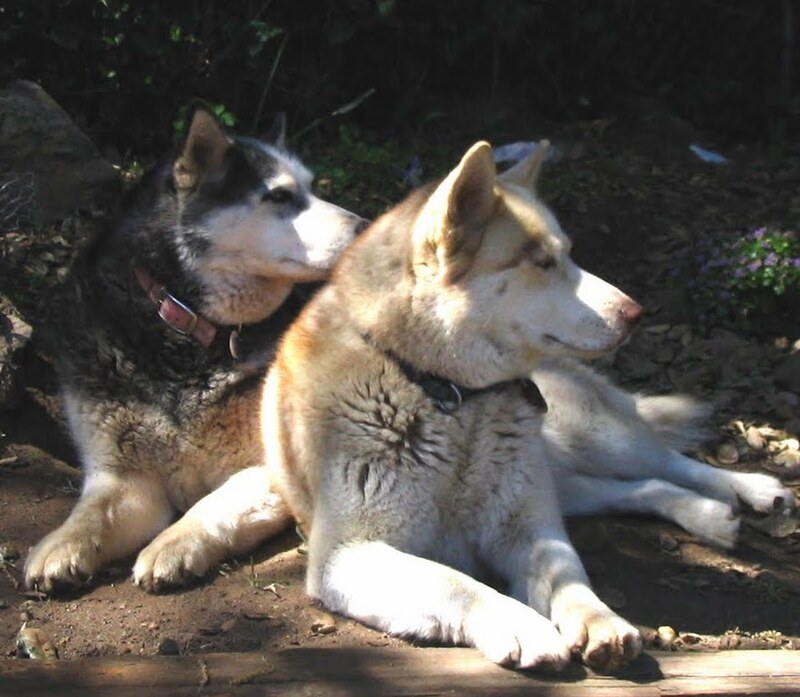 I loved how she loved her dogs, yet understood that when they passed, that was how it had to be. Because we live, we pass — humans , dogs and all that lives. This is not the kind of book I would have normally sought to read, but I’m incredibly grateful to have had the opportunity to read it. In many way, for me, “My Everest” is a prayer and a hope for a world gone wrong. I don’t find a lot of hope — or any kind of prayers — in 2018’s world. I most fervently recommend you read this book. It’s available on Kindle for the extravagant price of $3.00 and in paperback for the break-the-bank price of $7.00. I have it on Kindle and when my next Social Security check arrives, I will get the paperback, too. I want to be sure it is in the bookcase with other books I love too much to leave in the cloud. 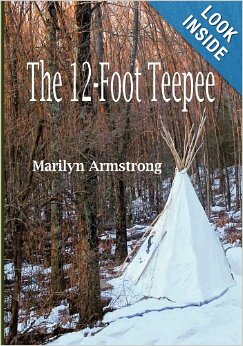 I am so looking forward to reading it, Marilyn. It is kind of an amazing book. I hope you love it too. I’m hooked! I would like to read it STAT. I Love Martha’s comments. She’ll do! I will have to read it and also check out Martha’s blog. I often read her comments on posts and I knew she loves dogs. She has a wonderful sense of the world and what it means to us. Heart-warming. You made me think about life without also feeling like I should slash my wrists. That’s pretty unusual. In my world, thoughtful has a tendency to be ever so slightly suicidal. I am grateful for positive yet thoughtful input. Martha, I’m a fan. Not a stalker. Just a fan. I agree. Unfortunately, I eventually ran out of words that mean what they used to mean before they began to mean something different. I really loved the optimism in your book. It was heartening. Things are been awfully grim in these here United States and while I can see potential positivism in the long term, it is sometimes hard to keep ones head above water in the meantime. 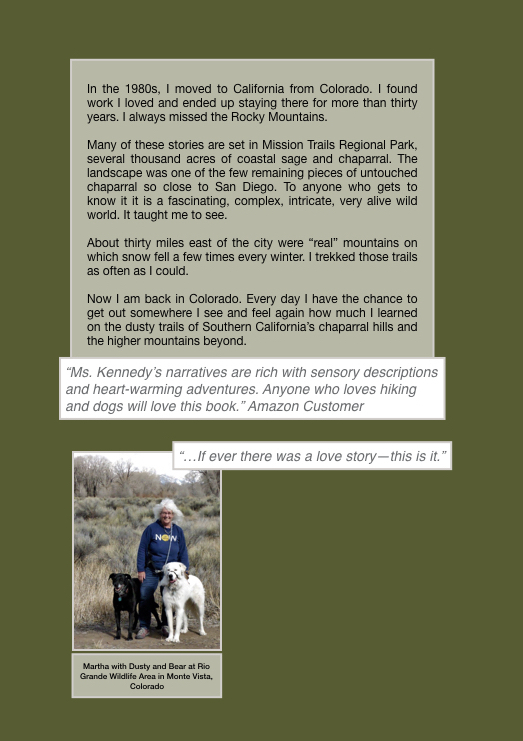 Pingback: A Beautiful Review of My Hiking Book – I'm a Writer, Yes, I Am! Beautifully articulated. I’m part way through the Kindle edition. I agree with what you say about taking it in bits to enjoy and slowly digest. As someone who often devours books in a gulp, its a pleasure to have one to savor. It’s thoughtful without being depressing. That by itself is exceedingly rare. What a wonderful review of Martha’s book, Marilyn. I’ll have to look into that one. What a wonderful review, Martha. It must have made your heart sing. I’ll be buying it for sure.